Cushions SteamPunk There are 3 products. 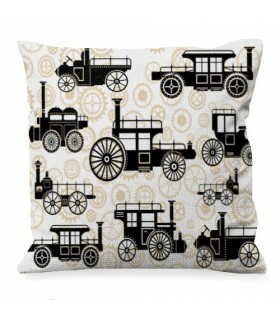 Cushion Design Steam Punk available in various sizes. Printed on 2 sides. Manufactured in polyester. Includes fill.Cover removable, suitable for washing machine.Maximum washing temperature 30 ° C.Ironing in low temperature.Suitable for dryer.Dry at a low temperature.Do not use chlorine. 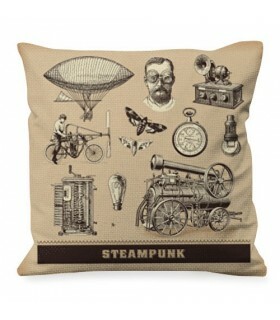 Cushion with Designs of Steam Punk available in various sizes. Printed on 2 sides. Manufactured in polyester. Includes fill.Cover removable, suitable for washing machine.Maximum washing temperature 30 ° C.Ironing in low temperature.Suitable for dryer.Dry at a low temperature.Do not use chlorine. 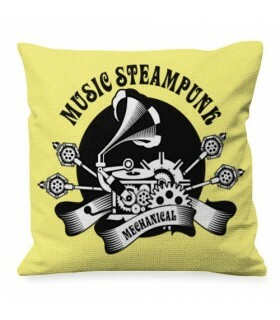 Cushion with a Design of Music SteamPunk available in various sizes. Printed on 2 sides. Manufactured in polyester. Includes fill.Cover removable, suitable for washing machine.Maximum washing temperature 30 ° C.Ironing in low temperature.Suitable for dryer.Dry at a low temperature.Do not use chlorine.